A series of problems with the management of the Forbidden City paints a bleak picture of China. Foreigners thinking about visiting the Forbidden City in Beijing may end up having second thoughts after reading about the problems there this year. Since May, there has been a spate of unfortunate incidents at the landmark, and although they are now under investigation, it’s clear that the management of the facility is in chaos. On May 10, microblogging sites broke the news that some items had been stolen from the site, a fact later confirmed by the management of the complex. The culprit was quickly apprehended and told authorities that he had climbed into the grounds via a tree. On May 13, the management sent a banner to the police as a thank you for catching the culprit. However, the words on the banner included misspellings that prompted a national outcry, and the landmark’s management came under fire for their lack of knowledge. The same month, a well-known presenter from China’s state-run CCTV said on his microblog that the Forbidden City had been turned into a private club, with membership fees starting from 5 million Yuan. The management of the Forbidden City has, though, denied this claim. On July 30, microblogging sites revealed that an item from the Song dynasty had been damaged earlier in the month, but the incident hadn’t been reported to the relevant parties; the management apologized. Netizens said that there had been four other similar incidents that went unreported. On August 9, an item that was undergoing restoration work was reportedly accidentally immersed in water. The management acknowledged the incident, but said that the item hadn’t been damaged. Also that day it was reported that some members of staff at the Forbidden City were embroiled in a dispute with tour agencies over privately sharing the revenue from entry fees. There’s plenty more. On August 14, a senior government official broke the news that many unofficial exhibitions had been held, and that there was evidence of tax evasion, all of which had gone unreported by the Forbidden City’s management. On August 17, sources from within the Forbidden City management said that some historical book-related items were missing from the library. The matter was reported to the deputy in charge of the library – who in turned ordered no further action should be taken. About 100 ancient texts are said to have gone missing. The same month, the media reported that in 1973, the Forbidden City’s management, in a bid to improve staff benefits, sold a number of historic items to employees for around fifty cents. All this has left me feeling sad. The Forbidden City is a world famous landmark containing numerous items that are thousands of years old. It is an important piece of heritage for foreign visitors and Chinese alike. But if no responsible staff can be found to properly take care of even these treasured items then frankly it’s difficult to feel optimistic about China’s standing in the world. 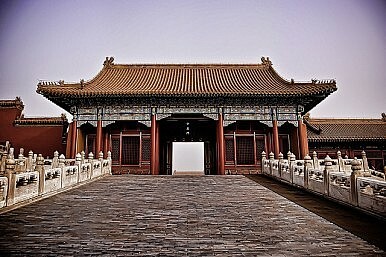 The management at the Forbidden City has been roundly criticised for its poor attitude and excessive bureaucracy – in fact the staff there seem even lazier than civil servants. This summer’s revelations also make me wonder if there are more secrets that have yet to be discovered. How many artefacts might have been stolen or damaged? What share of the gate receipts could have been siphoned off illegally? The Forbidden City has become a microcosm of corruption in China. If change can’t be brought about internally, it will be necessary to bring to bear some outside pressure for reform. Indeed, Premier Wen Jiabao himself should be concerned about the implications of what has been going on in the Forbidden City this year.